The Invictus Games, created by Britain’s Prince Harry, are underway in Orlando. 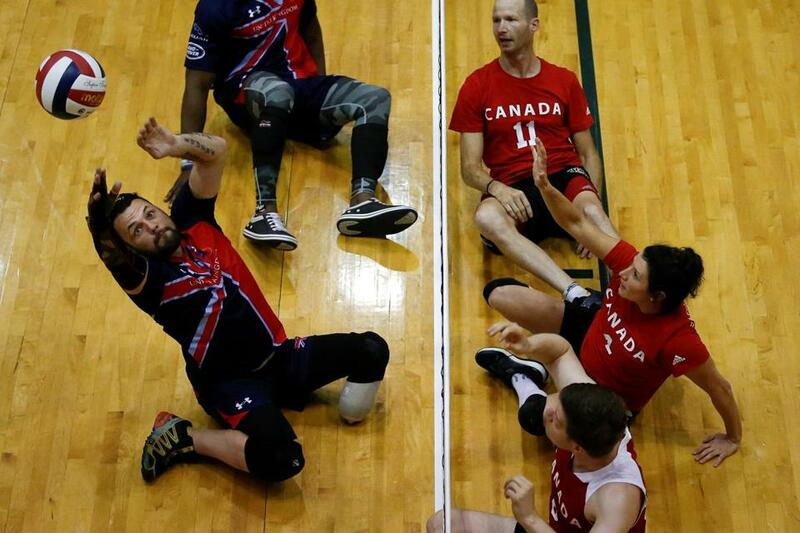 The games allow wounded, sick, or injured armed services members from around the world to compete in Paralympic-style games. A competitor from Britain hits the ball to Canada during a seated wheelchair game at the Invictus Games in Orlando on May 7.